In October 2015 Toyota Motor Corporation Australia detected the sale of counterfeit Toyota Parts by a parts seller based in NSW that also was selling via the eBay marketplace. Of greatest concern were the counterfeit brake pads being sold. These were independently tested and found to contain asbestos. The seller was also selling counterfeit spiral cables, water pumps and wheel bearings. Motor Traders Association CEO Greg Patten warned that every time the suspect brakes were applied “asbestos dust goes into the atmosphere ... it’s deadly stuff”. As well as public safety, Toyota is concerned about the health of more than 5000 mechanics at its dealerships across Australia — and more than 100,000 mechanics at independent workshops — who may come across a car fitted with counterfeit brake pads. In early 2016 Toyota Motor Corporation Australia in conjunction with Toyota Motor Corporation Japan provided information to local authorities in China which resulted in the raid of a supplier in Guangzhou, China where more than 33,000 counterfeit parts destined for Australia were seized. A broad range of parts were being counterfeited, including many safety related parts for brakes and airbags. There are many items offered across different marketplaces in Australia today. The old saying applies, "If it seems too cheap to be true then its probably not". 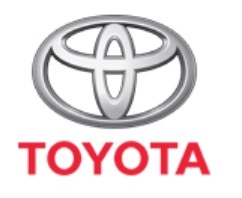 The only way you can be sure you are buying Genuine Toyota Parts is to buy from a Toyota Dealer.